Temple Bar TradFest is Ireland’s largest festival of traditional music and beyond. 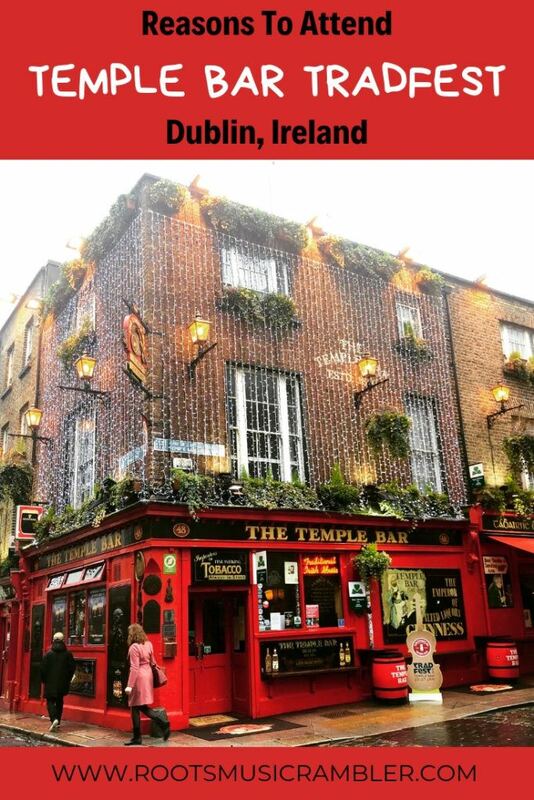 It takes place every January in Dublin, Ireland. I attended my very first TradFest just last month and I can say with all honesty that it was like a dream come true. The thrill of visiting a new city in a country with such a robust musical heritage resulted in my having the time of my life. 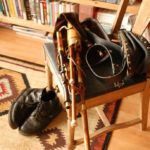 If that isn’t enough to get you thinking about attending a future TradFest, perhaps these reasons will be. Many will probably argue that this is true of Dublin all the time, not just during TradFest. Ok, fair enough, and based on my experience, I would tend to agree. I arrived in Dublin a few days before TradFest started, just to get my bearings and try to take in some sights. 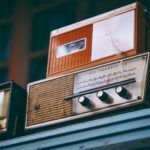 Even on those days, there were connections to music everywhere. 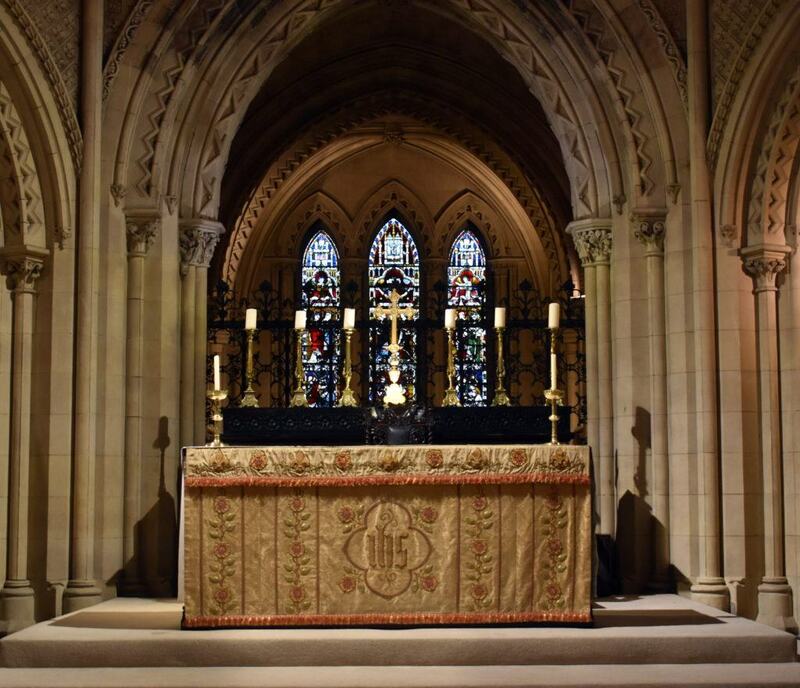 Visiting Christ Church Cathedral and learning how its choir participated in the first-ever performance of Handel’s “Messiah” in Dublin in 1742. Taking part in Fiona Dalton’s Musical History Tour and singing along to some of Dublin’s most famous songs. From my room at The Harding Hotel, hearing the nightly live music from Darkey Kelly’s Bar downstairs. And there is even a display about Irish music traditions at EPIC The Irish Emigration Museum. For fellow music fanatics, Dublin is kind of like heaven on earth. 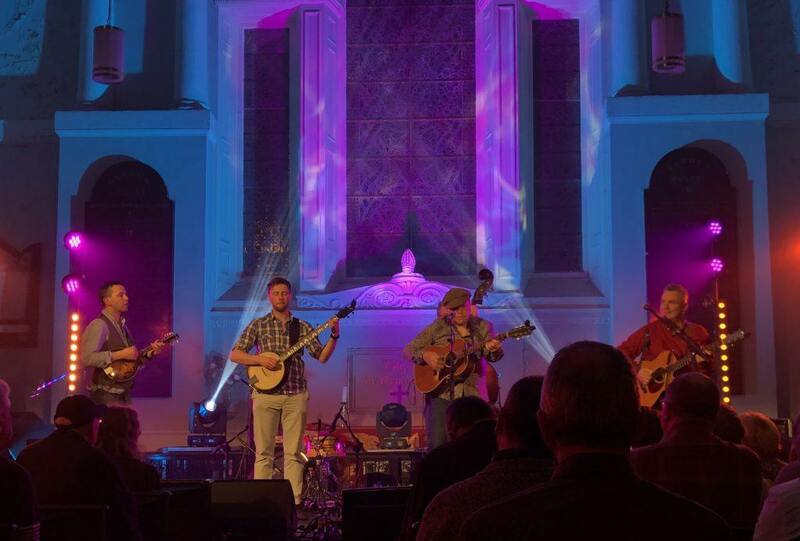 Most of the TradFest shows are in smaller venues which lends to a certain degree of intimacy. A number of artists also make themselves available after the shows to talk to fans and provide autographs. Of all the live shows and music festivals I’ve attended in my life, I’ve never witnessed such accessibility to the performers. And not just for the journalists, but for all attendees. Interacting with the musicians via social media during the festival was also great fun! Speaking of venues… a large part of what makes TradFest so special is the array of performance venues. Most shows do not take place in purpose-built concert halls; rather, the venues are some of Dublin’s most historic buildings. I attended a few shows at St. Michan’s Church which was originally founded in 1095! The current church building dates back to 1685 and the interior has changed very little since Victorian times. Oh, there are mummies in the vaults below the church, too. St. Michan’s is not very large but it has high, vaulted ceilings, and the acoustics are fantastic. I was brought to chills by the performers I saw there, namely Dori Freeman who, coincidentally, has the voice of an angel. 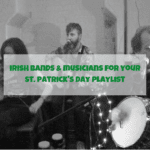 Other notable venues include St. Patrick’s Cathedral, Dublin City Hall, and Dublin Castle. 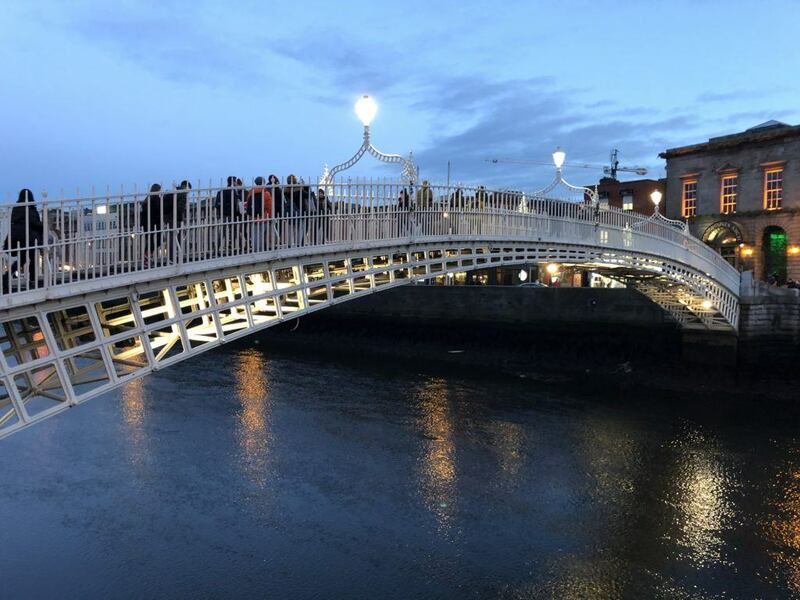 Like most other popular tourist destinations, visiting Ireland – including Dublin – during the summer months can be quite expensive. 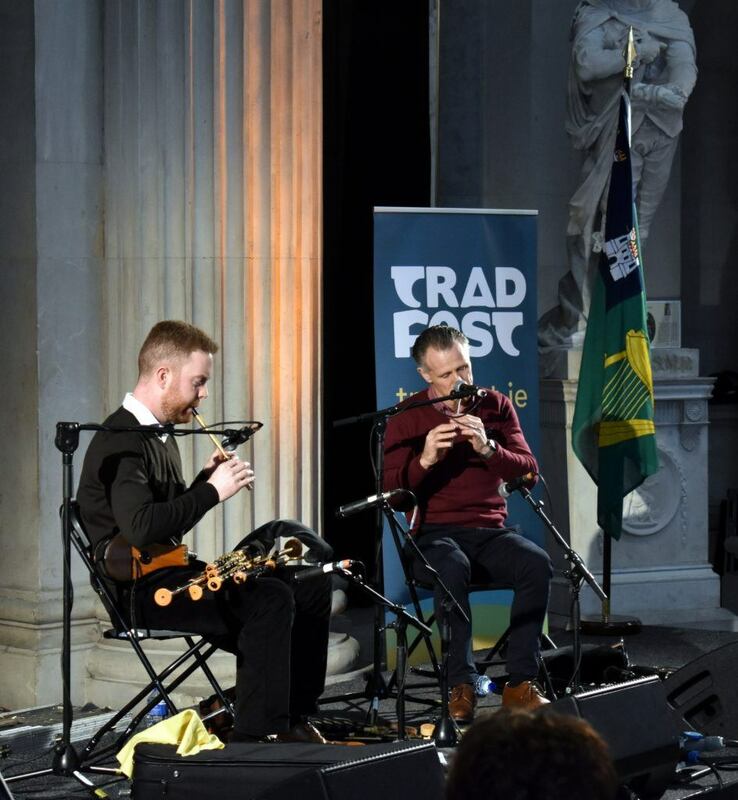 If you’re looking to do Dublin on a budget and can handle cooler temps, then January – when TradFest takes place – is the perfect time to go. Airfare from the U.S. in January is a fraction of the price in July (my round-trip flight to Dublin from Chicago on Icelandair was $459). As for those “cooler temps”, it was warmer in Dublin than it was back home in Chicago. I had a couple of cool, rainy days in Dublin but I also experienced days of bright sunshine and crisp air. As I mentioned above, I allowed myself a few extra days in Dublin before TradFest started. I recommend future festival goers do the same, especially if it’s your first time visiting Dublin. 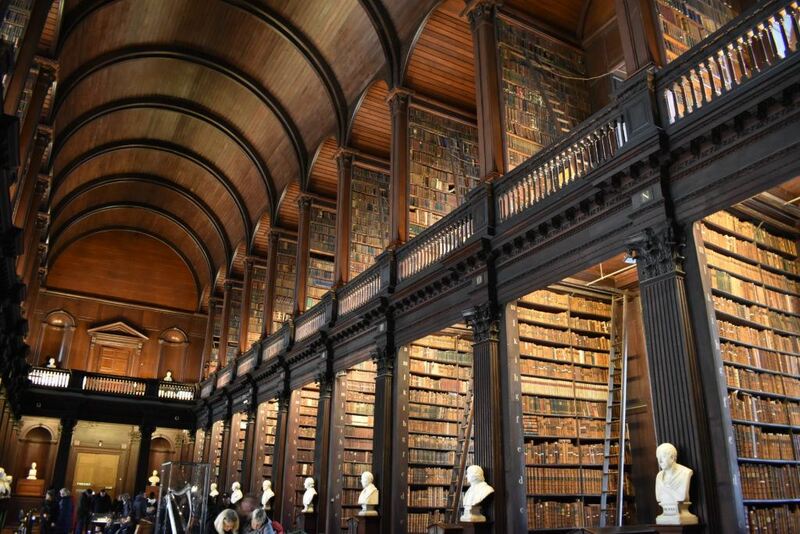 You’ll want that time to have a look around and visit iconic spots like the Guinness Storehouse and The Long Room Of The Old Library At Trinity College. I also suggest purchasing a Dublin Pass. The city sightseeing card includes, among other things, free entry to more than 30 of Dublin’s most popular sights and a 24-hour ticket for the hop-on/hop-off city tour bus. With 1-day, 2-day, 3-day, and 5-day options, the Dublin Pass is well worth it. 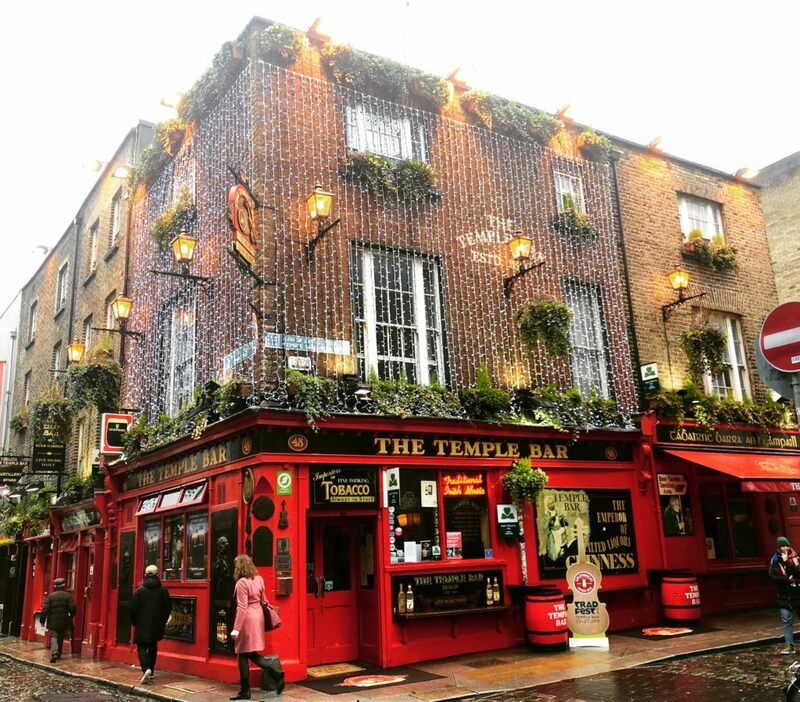 Are you ready to start making plans for next year’s Temple Bar TradFest? Festival dates have been announced: January 22-26, 2020. If you need me during that time, you’ll have to come find me in Dublin. Many thanks to Temple Bar Company and Fáilte Ireland for sponsoring my trip to Dublin for TradFest. All words and opinions here are, as always, 100% my own. Read full disclosure here.